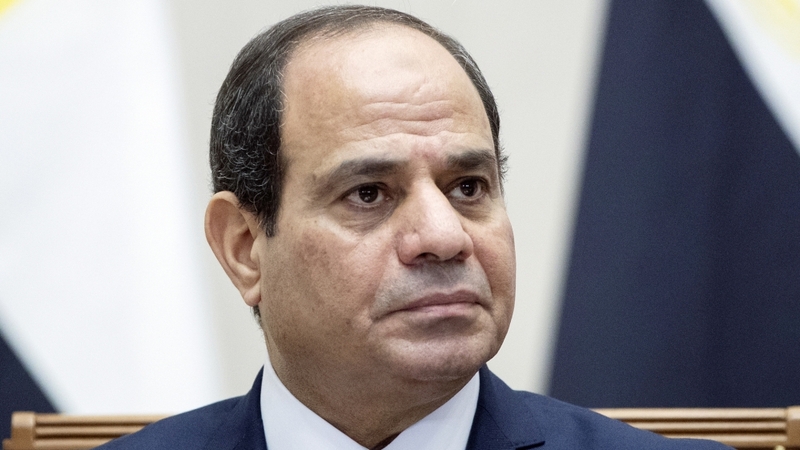 Egyptian opposition parties have formed a coalition against proposed changes to the constitution that would allow President Abdel Fattah el-Sisi to stay in office beyond the end of his current term in 2022. Abdel-Aziz el-Husseini, a senior leader in the Karama (Dignity) Party, said on Wednesday that 11 parties with the previous day and declared their opposition to the proposed changes. 4 charter, citing a constitutional clause that extends the two-term limit. "We will challenge The proposed amendment before the country's supreme constitutional court, "he said. Amending the Constitution was widely expected. Pro-governmental parliamentarians and media figures have argued for years when the Constitution is crippling the president's efforts to advance the country, including overhauling its economy and defeating armed groups. Sisi said in 2015 "the Constitution was drafted with good intentions". A draft of the proposed amendments shows concerted efforts by the pro-government Supporting Egypt coalition to consolidate Sisi's power. The 64-year-old leader could be allowed to run for a third and fourth six-year term, potentially extending his rule to 2034. Talaat Khalil, an MP attending Monday's meeting, decried the proposed changes, especially a broad clause stating the military's duty is to protect "the constitution and democracy and the fundamental make-up of the country and its civil nature"
He told a press conference this could allow the armed forces to support one politician at the cost of another. "This is a great danger," he said.